In the 2010 movie “Alice in Wonderland,” Alice rebels against the expectations of society by refusing to conform. Not only did she abhor the women’s “dress code,” she was alarmed by an unwanted marriage invitation. When confused and unsure how to respond, Alice dashed away after a white rabbit in a blue waistcoat. In the time between her disappearance into the garden hedges and her return, Alice experiences many adventures and, most importantly, finds her courage. 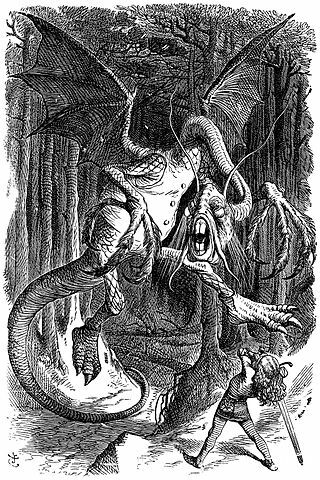 As I see it, the Jabberwock that Alice eventually slays represents familial and societal expectations by which she is expected to abide. Throughout the movie, Alice claims she could never slay the Jabberwock, not even if she wanted to. That’s how trapped she felt in her real world. But something happened in the underworld that changed her mind. And once she experienced how empowering courage was, not only did she behead the Jabberwock, but she also returned to England to slay the expectations of others. Expectations that felt so wrong to her spirit. When she refused the proposal, another more appropriate opportunity presented itself to her — one that felt right. Defying gender roles, off she sailed into the sunset. What expectations of family, friends, colleagues, society, ethnic ties, country loyalties are holding you back from what you dream of becoming? Isn’t it time you eliminated your Jabberwock? First of all, you have to understand what you’re up against. Do you even know your Jabberwock? If not, look for the aspects of your life that bring you the most angst. 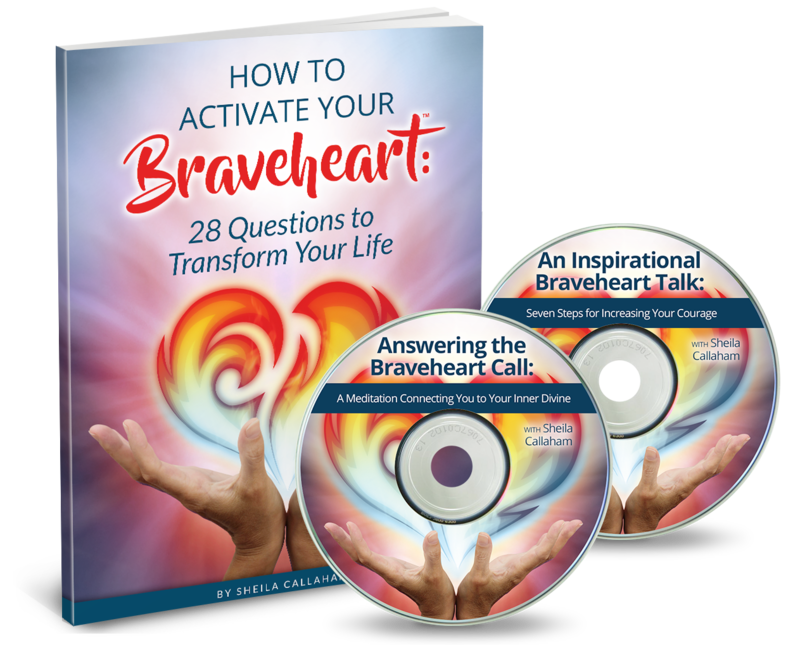 Consider the areas in your life where you are saying “yes” when you really want to say NO! Remember that a little bit of no means no! Those considerations should give you a clear idea of what your Jabberwock represents. Acknowledge the Jabberwock. Are you in denial that life is not what it could be? If so, the first thing you must do is to stop turning your head away from the problem. Acknowledge the Jabberwock. Empower Your Voice. Merriam-Webster defines the word empower as: to give official authority or legal power to; and, to promote the self-actualization or influence of. Only YOU can empower your voice to speak up on your behalf. Only YOU can promote your self-actualization through vocalizing your wants and needs. Only you. Empower yourself. Grant your voice permission to represent your heart. Practice Gratitude. One can still express gratitude when saying no. In fact, it’s one of the highest forms of diplomacy. Alice does it beautifully when she declines marriage. Thank you, but I cannot. Short and sweet. No further explanation needed. Not whiny, not begging forgiveness, not giving all kinds of excuses. She simply spoke her truth. Focus on the Future. Once you’ve slain your Jabberwock, concentrate on the future, even if you aren’t exactly sure of where you’re going. After all, Alice set sail on a ship, but no one knows what she encountered along the way. And, while you may not believe that anyone could possibly understand, once you step onto your true path the Universe will conspire to support you and allies will emerge from the most unsuspecting places. It took Alice falling into a rabbit hole and experiencing a dream-like state of chaos to find her voice, her courage. From that experience, she emerged an empowered heroine who chose her future and lived it just the way she wanted. Are you scurrying around deep inside your rabbit hole? Just remember that the elixir to living the life you most want is in slaying the Jabberwock. 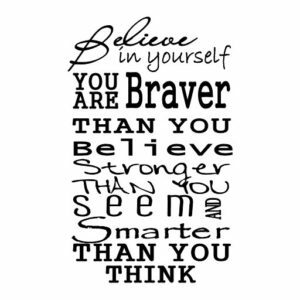 Just as the White Queen always believed in Alice, I believe in you, Bravehearts. Do you? I work every day to slay the jabberwock of cultural beliefs around aging. Yes, Barb, that’s a Jabberwock that will take all of us working together to eradicate! I’m with you, Sister! Such a well-written and creative blog, Sheila. I’m thinking this translates to ALL ages, but also younger people. I know what you mean, Natasha. For me, I slay one Jabberwock and whaddayaknow? Another one shows up!!! Love it! And now I want to re-read Alice AND see the movie. Oh yes, Andrea, do watch the movie at least. I was so surprised by how inspired it left me! Always slaying the Jabberwock – one day at a time 🙂 TY! Thank you for this well written post!!! I love this blog, the question you posed and the strategies for transforming the expectations and beliefs that no longer serve our growth. One of my challenges is the old belief that I have to work really hard to be successful. I am bringing more awareness daily to how this belief manifests in my life and the impacts it causes and am open to releasing it. Thank you so much Sheila! Sheila, I so needed this reminder today. And I love the metaphor from Alice in Wonderland. So apt.